Will tax time cause you to do hard time? Tax Deductions for Your Addition, Remodel or Accessory Dwelling- Great Design for Aging in Place Can Have Big Tax Benefits! Dennis Brager interviewed by Tax Analysts regarding California’s link to the IRS FBAR Offshore Voluntary Disclosure Initiative (OVDI). 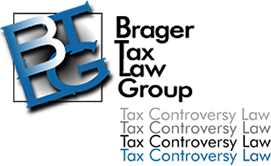 Dennis Brager quoted in the Palm Beach Daily News on the IRS' ongoing investigations into offshore bank accounts. Dennis Brager interviewed by MoneyLaundering.com about UBS Handing Over Client Names to U.S.
MoneyLaundering.com interviews Dennis Brager about UBS Settlement with I.R.S.